In Season 2 of TOKYO CREATORS, we introduced “Ramen”, Japan’s most popular street food export, and “Edo-Tokyo vegetables”, a brand of local produce with a 400-year history. This episode revisits the two themes through the perspectives of two more creators. First, we will meet Ryoichi Nishio, whose dedication to detail has helped bring to life the ambitious ideas dreamed up by Satoshi Ikuta—the owner of Ramen Nagi who was introduced in Episode 1. We will follow Nishio’s creative process as he attempts to develop a new dish that utilizes niboshi—the tiny dried fish that are the heart of the now world-famous Ramen Nagi flavor. Next, we will meet Hiroyuki Yagasaki, a farmer who grows Edo-Tokyo vegetables. Together, we will see how his produce is prepared at various dining establishments around Tokyo and what the customers think of the unique flavors offered by these vegetables. 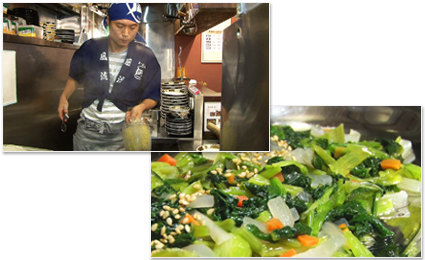 It is this process that helps Yagasaki grow even better vegetables. In this segment, we will be walking around the traditional Edogawa neighborhood. There is a factory that makes barley tea and fills the surrounding area with the pleasant smell of roasted barley; a traditional dye plant that makes a type of hand towel known as a tenugui; and other buildings that hark back to Tokyo’s past. We will also visit a famous bonsai museum that is popular with foreign tourists. Here in Edogawa, visitors will find a town that reflects the elegant simplicity of Japan’s traditional cultures. 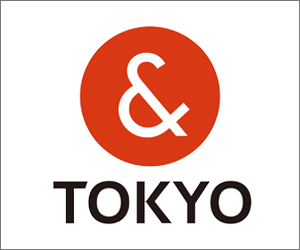 In this segment, we will be looking at the efforts of the Tokyo Metropolitan Government to turn Tokyo into the most disaster-prepared city in the world, by making sure every resident is knowledgeable about how to prepare for and deal with a disaster.The segment will focus on a manual called “Disaster Preparedness Tokyo” that the city government started distributing to every household in September, as well as a major disaster drill that was held on September 1st.